The Manny Cantor Center is a project of the Educational Alliance. The Manny Cantor Center is part of Educational Alliance, a non-profit that brings together and partners with diverse communities in Lower Manhattan, offering individuals and families high-quality, multi-generational programs and services that enhance their well-being and socioeconomic opportunities. We are a place where everyone is welcome and where progress is powered one relationship at a time. We are proud of our legacy as a Jewish organization and we provide high-quality, transformational services and programs to all New Yorkers through our network of community centers on Manhattan’s Lower East Side and East Village. As we have for 130 years, we offer best-in-class programming–now across 15 sites—focusing on a mix of education, health and wellness, arts and culture, and civic engagement. The Manny Cantor Center is the original site of the Educational Alliance, and the administrative headquarters remain in the flagship building at 197 East Broadway. In addition to the Manny Cantor Center, Educational Alliance’s network of community centers includes the 14th Street Y, the Center for Recovery and Wellness, the Sirovich Center, and Educational Alliance Community Schools. Educational Alliance’s President and CEO is Alan van Capelle and the chairman of our Board of Trustees is Roberta Karp. 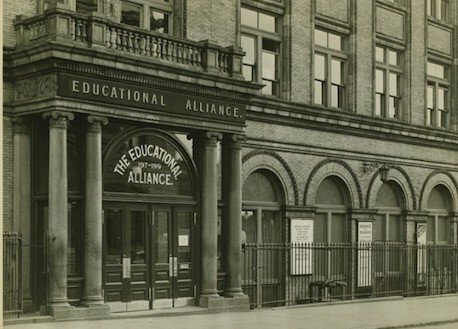 Learn more about Educational Alliance, including volunteer and job opportunities, by visiting edalliance.org.